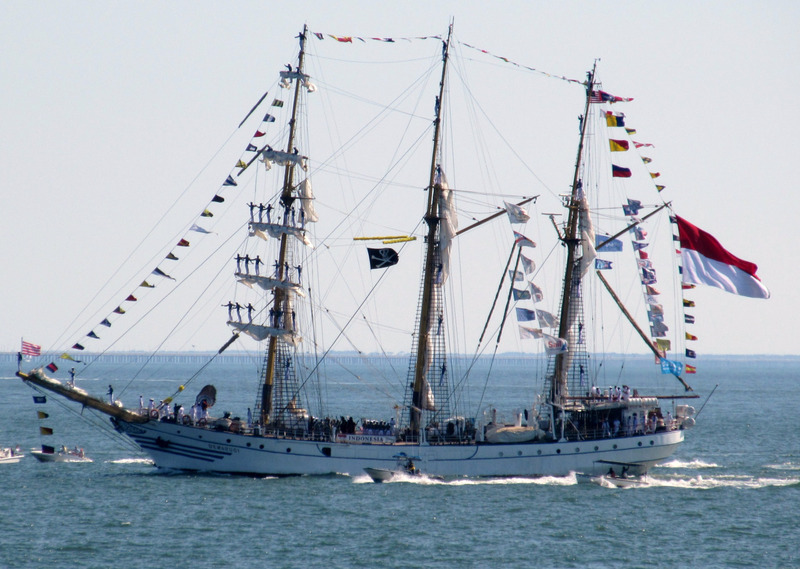 According to Marinetraffic information , sail training ship of the Vietnamese Navy "Le Quy Don" has left Poland on way home. 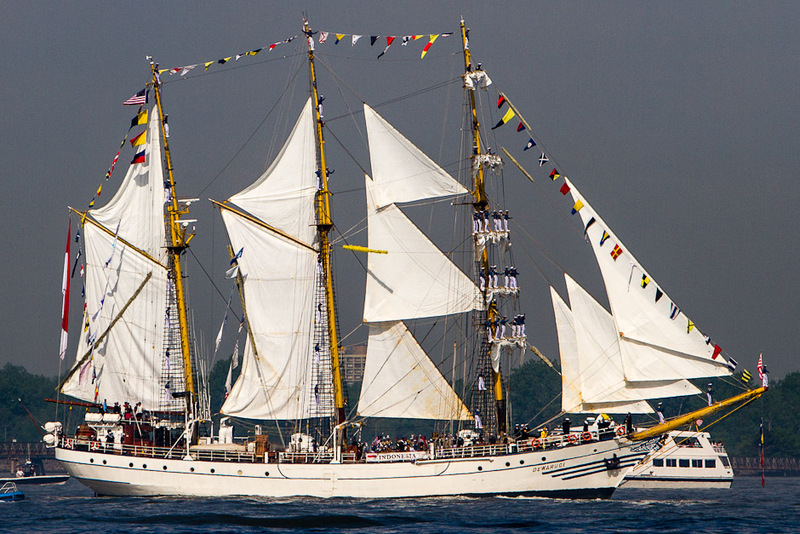 Currently sailing ship Le Quy Don are off the coast of Norway. Expected immediate destination of the ship is in the port of Las Palmas Sail (Spain), sailor crew rested briefly, then will proceed to Nha Trang City. 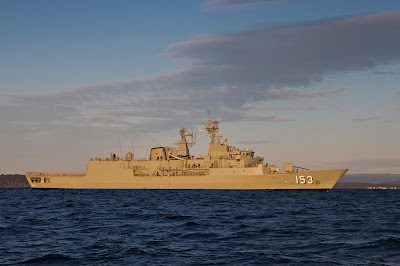 Average cruising speed of the ship is currently sailing at 11 knots/h, a little slower than the RollDock ship carrying Kilo submarines for Vietnam to handover. Thus, more than a month. 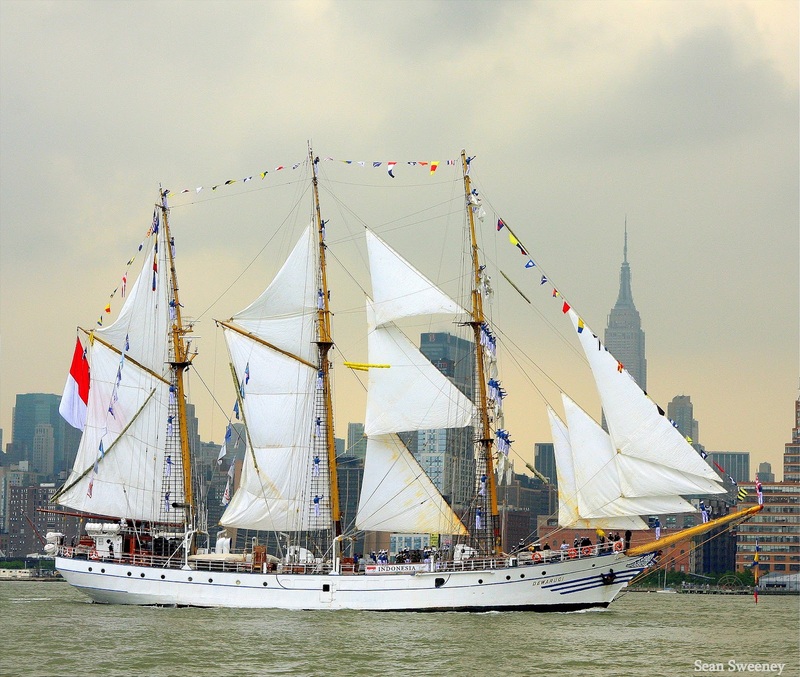 Reportedly, the ship was named scholar Le Quy Don, designed by CHOREN Ship Design & Consulting of Poland. 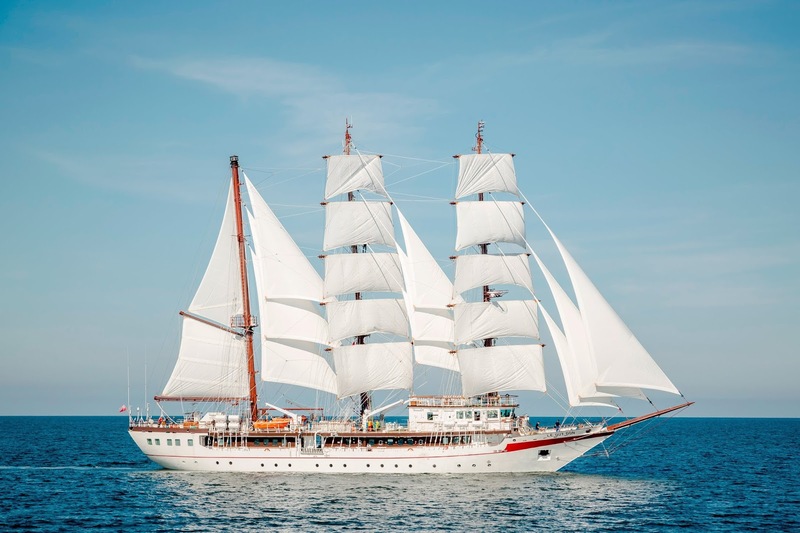 The vessel was started built at Marine Projects shipyard of Poland on 07.02.2014, launch on 06.01.2015 and in November expected comissioned for the Naval Academy in Nha Trang. The sailing ship Le Quy Don will join to the Naval Academy, later grades students will be trained and practices the method seafaring, navigation, etc from the basics. 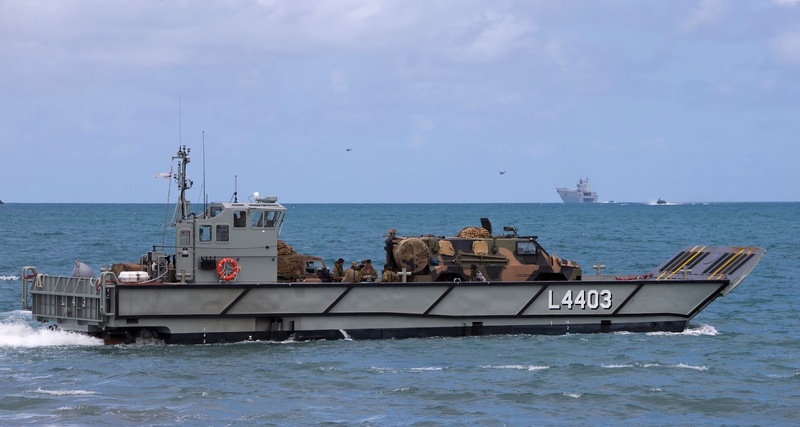 Team Sentinel, primed by Elbit Systems of Australia (ELSA), has put forward their SENTINEL II platform in response to the Commonwealth of Australia’s Land 400 Mounted Combat Reconnaissance Capability (MCRC) request for tender. 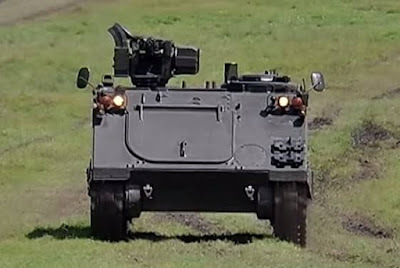 The SENTINEL II is an integrated combination of the in-service Singapore Technologies Kinetics TERREX 8X8, the in-production Elbit Land System’s MT30 turret, and a networked combat system forming the next generation generation of the Australian Army’s current Battle Management System. 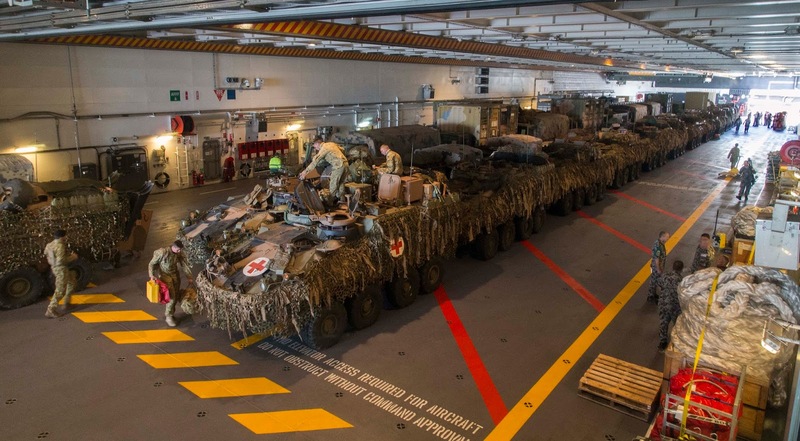 “The SENTINEL II is optimised for mounted close combat with the capability and capacity to meet emerging and future threats. 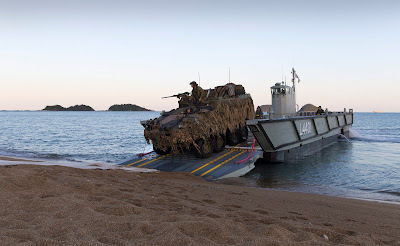 It is a highly protected, lethal and flexible combat reconnaissance platform with a battle proven networked combat system at its core,” Dan Webster, Managing Director of ELSA said. Named after the first Australian built armoured fighting vehicle, the SENTINEL II will be manufactured and supported in Australia by a team of Australian partners with proven experience in advanced manufacturing capability and delivery. 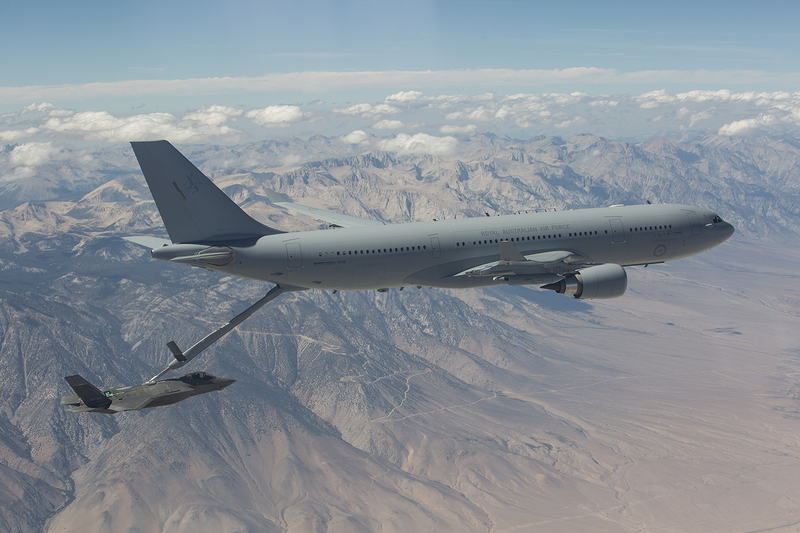 Team Sentinel has plans to produce and further develop the SENTINEL II in Australia, ensuring ongoing sustainment and growth of Australian defence technology skills and capability. 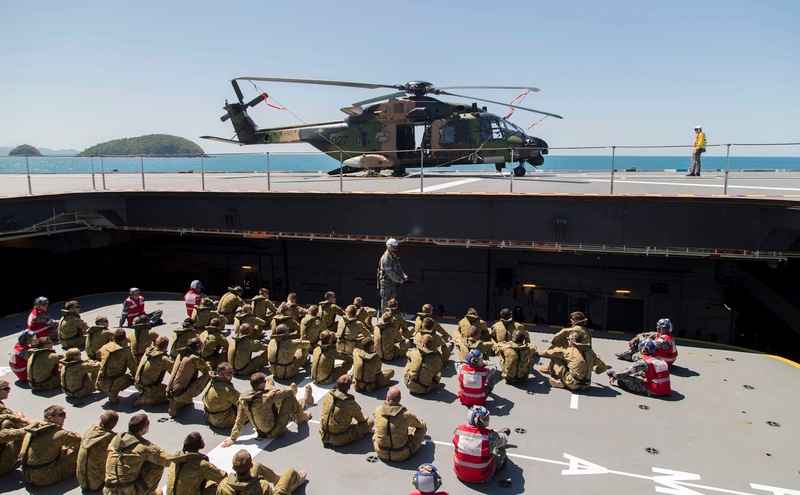 Webster said the team recognises the long term value and benefits of a locally made solution for the Land 400 program and was committed to manufacturing and maintaining the entire SENTINEL II capability in Australia. 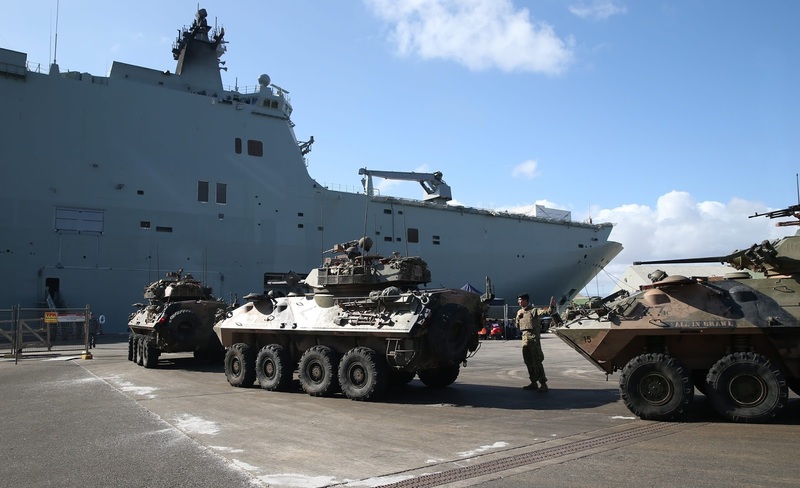 "The intellectual property for the vehicle and the turret will be held and licensed in Australia and all of the complex systems integration will be conducted locally,” he said. 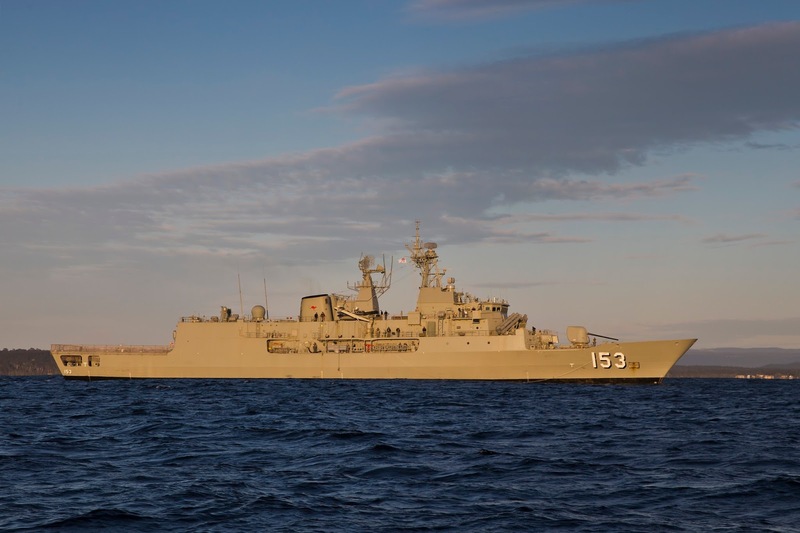 The Geelong region has been selected as the home of Team Sentinel where the turret will be manufactured and the bulk of the systems integration; testing and final assembly of the SENTINEL II will be undertaken. Burnie, in Tasmania, will also play a very important role as the major manufacturing site for the base platform. 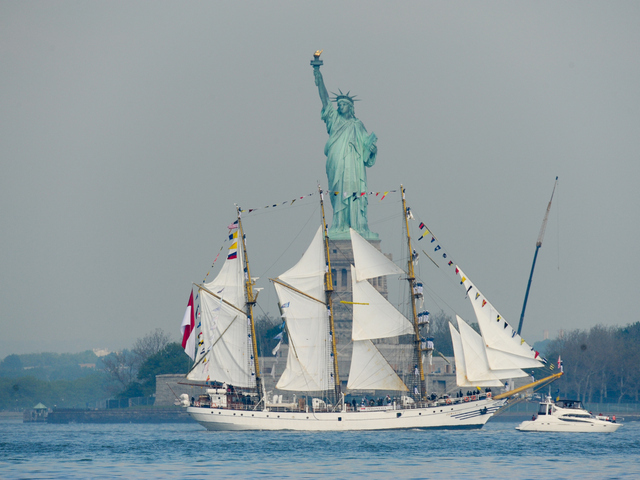 These activities will also be supported by a substantially Australian supply chain. 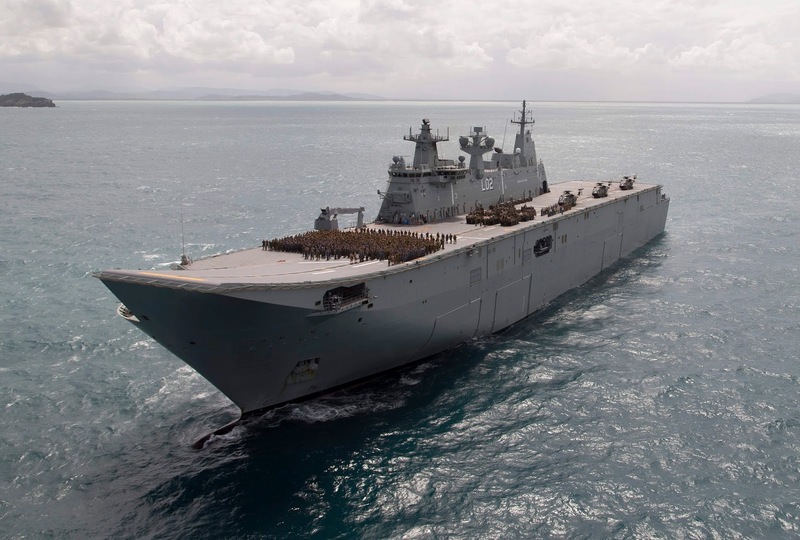 One of Team Sentinel’s major partners, The Elphinstone Group are set to provide manufacturing and systems integration services from Tasmania. "Elphinstone and Caterpillar have manufactured over 5000 underground mining vehicles in Burnie over the past 40 years and will use the existing facilities and expertise,” said Chairman, Dale Elphinstone. 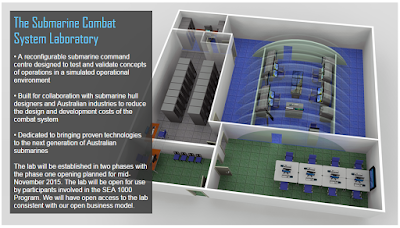 Confirming they will locate their SENTINEL II turret production facilities in Geelong once the team is short listed, Allan Platt from WE Platt, another partner in the team, said "Geelong has the right resources and skills to support the competitive production of the MT30 turret". KBRN, Jakarta : TNI Angkatan Laut dalam rencana strategis (renstra) tahun 2024 mentargetkan sebanyak 154 kapal perang (KRI). 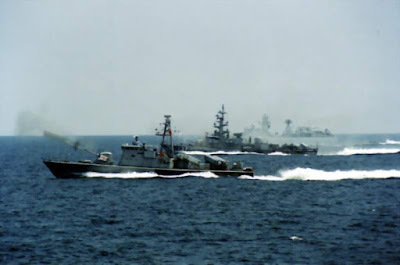 Dalam minimum essential force (MEF) tahun 2024 sebanyak 154 KRI dan optimumnya sebanyak 274 KRI. “Artinya yang sudah tua-tua sudah diganti. 154 KRI itu minimum, kalau optimum itu 274 KRI untuk mengamankan NKRI. Saat ini memiliki 145 KRI, dan kondisinya peremajaan,” kata Kepala Dinas Penerangan TNI AL Laksamana TNI AL M. Zainuddin dalam dialog Pro3 RRI. Peremajaan kapal, ujarnya, sampai tahap kedua MEF sampai 2015-2019 secara bertahap kapal baru berdatangan. Dari mulai tahun 2015-2016 baik pengadaan di dalam negeri maupun di luar negeri. 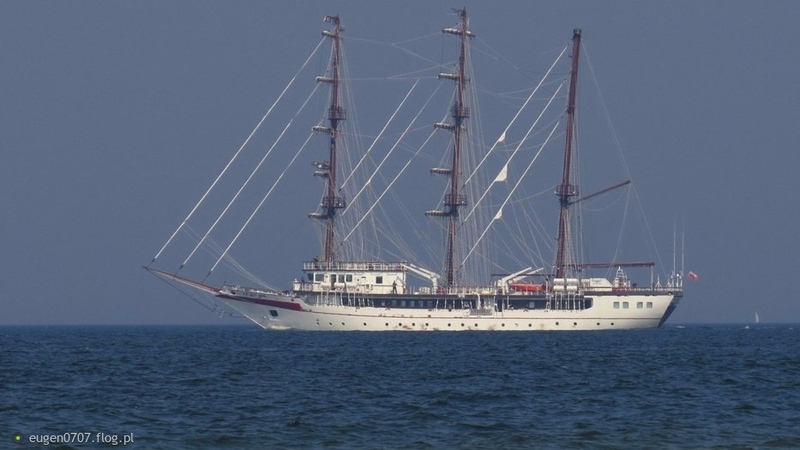 “Kapal selam segera datang, dan rencana ke depan kapal selam kilo kelas, dan 2017 akan datang tiga kapal di Indonesia,” tuturnya. Dengan datangnya kapal selam itu, jelasnya, akan memberikan hal yang positif. 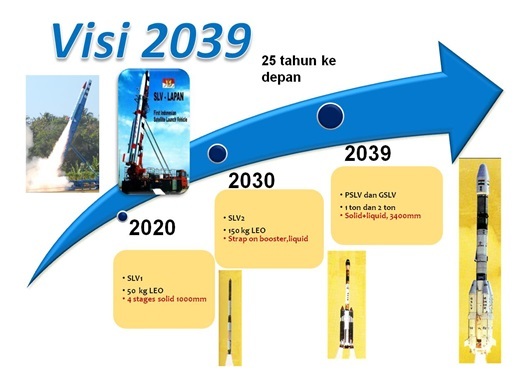 MEF kedua 2019 dan tahapan ketiga 2024 diharapkan MEF sudah terpenuhi semua. “Kita MEF postur hingga renstra 2024. Kita sangat membutuhkan bantuan masyarakat maritim, dan itu bisa mengantisipasi kejahatan lautan di Indonesia. Jadi nelayan, dan masyarakat bisa memberikan informasi ke kita,” pungkasnya. The Royal Australian Air Force (RAAF) has completed the first fuel transfer with the air refuelling boom from a RAAF KC-30A Multi-Role Tanker Transport (MRTT) to a US Air Force (USAF) F-35A Joint Strike Fighter at Edwards Air Force Base in California. A total of 59 contacts were conducted of which five contacts transferred 43,200 pounds of fuel during the four hour sortie. 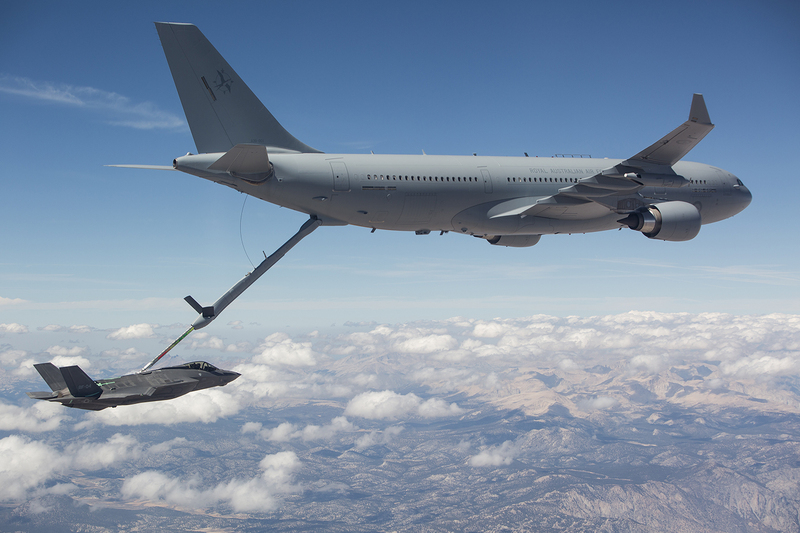 “Refuelling between the KC-30A and F-35A is an important step towards the KC-30A’s achievement of Final Operational Capability (FOC) and represents continued progress in the development of the F‑35A. QĐND Online - beberapa jenis ranjau laut yang diproduksi sendiri oleh Angkatan Laut Vietnam, baru-baru ini dipamerkan di Kongres Angkatan Bersenjata Vietnam Kesepuluh, untuk masa 2015-2020. Jenis ranjau untuk menghambat tentara dan kendaraan amfibi di pantai atau sungai, atau di celah sempit dengan kedalaman hingga 20m. 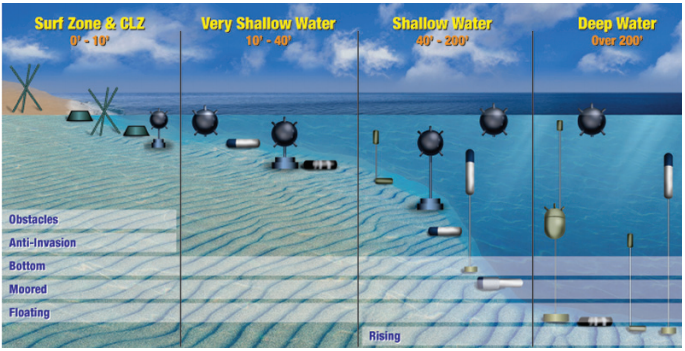 Ranjau laut KMP adalah jenis contact mines, auto-depth, dapat menggunakan berbagai cara untuk menurunkannya dari ketinggian 1.5m. 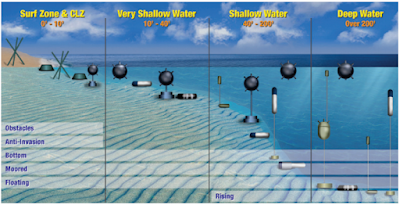 Torpedo ditugaskan di pantai dan di laut pada tahun 2013 mencapai hasil yang baik. Ranjau laut KMP diproduksi oleh Pabrik X28, milik Departemen Tenis Angkatan Laut Vietnam, telah diserahterimakan kepada Kementerian Pertahanan pada tahun 2014 dengan hasil yang baik. Ranjau ini bukan berjenis contact mines, digunakan untuk menghancurkan kapal musuh di perairan pada kedalaman 12 - 50m dan kapal selam di kedalaman hingga 125m. UDM dilepaskan dari kapal permukaan atau pesawat udara. Pada tahun 2014, dilakukan tes peledakan ranjau di laut yang mencapai hasil baik, parameter yang diujikan setara dengan ranjau laut produksi Soviet. UDM juga diproduksi oleh pabrik X28, milik Departemen Teknis Angkatan Laut Vietnam. 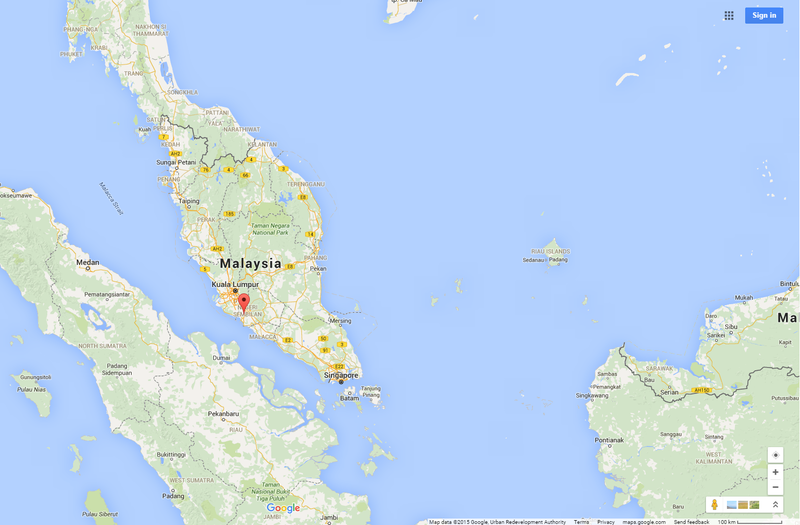 PORT DICKSON (Bernama) -- The construction of the new airbase for the Royal Malaysian Air Force (RMAF) in Sendayan, Seremban is now being actively carried out and so far, 40 per cent of the project has been developed. 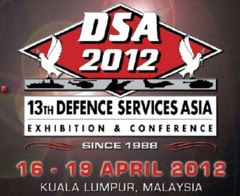 Air Force chief General Tan Sri Roslan Saad said according to the plan, the new air base was expected to be fully completed by the end of 2016 and operations would begin early the following year. 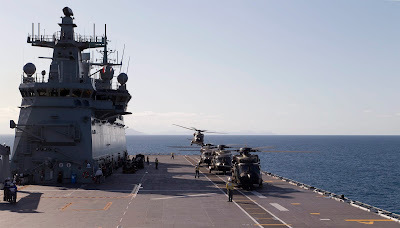 "The airbase, covering 303 hectares, would accommodate 1,500 personnel. The RMAF would make the base as a training centre and emplace all training units at all airbases throughout the country in one location only. Also present were the Joint Forces Commander Lt Gen Datuk Baharom Hamzah, Army Training Commander Maj Gen Datuk Suhaimi Mohd Zuki and Assistant Chief of Staff MK TL Exercise Operations Rear Admiral Datuk Pahlawan Mior Rosdi Mior Mohd Jaafar. He said that besides making it as a professional training centre for officers and men in the fields of logistics, administration and management, the new air base would also accommodate the Training Commanding Headquarters. He said that about 30 per cent of the base would be reserved as a green area to be used as training ground for the military besides for future development if necessary. 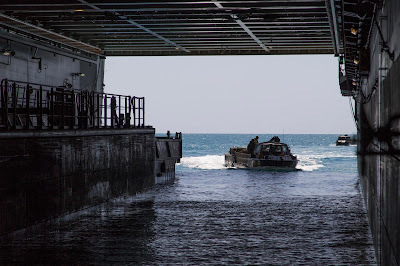 Meanwhile, 847 members of the Malbatt 850-2 team who carried out the mission of the United Nations Interim Forces in Lebanon (UNIFIL) were awarded the PNBB medals. They comprised 75 officers and 772 other ranks led by Colonel Khaswadi Lahuri. 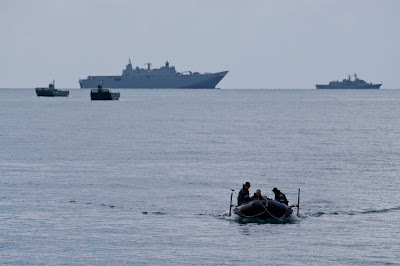 Three officers and 27 members of the Royal Brunei Armed Forces also received the awards. The awards were to recognise the success of the troops in carrying out the UNIFIL mission in Lebanon for 12 months beginning Sept 25 2014. VOV.VN - On 28/09, at the Admiralty Shipyards in the city of Saint Petersburg Verfi held launching ceremony of HQ-187 Ba Ria - Vung Tau submarine, the submarines of Project 636 Varshavyanka class (Kilo-NATO) of the Vietnamese Navy. HQ-187 Ba Ria - Vung Tau is the last Russia's Kilo submarines in the number six of Varshavyanka for Vietnam. 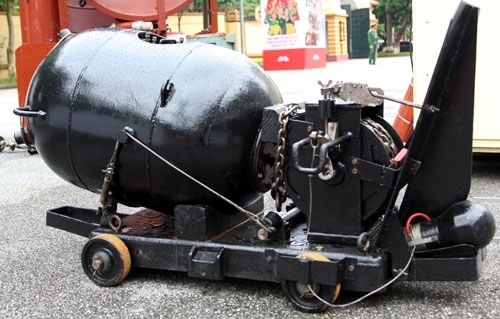 Previously, Vietnam had received four Kilo submarines were: HQ-182 Hanoi, HQ-183 Ho Chi Minh, HQ-184 Hai Phong and HQ-185 Danang. 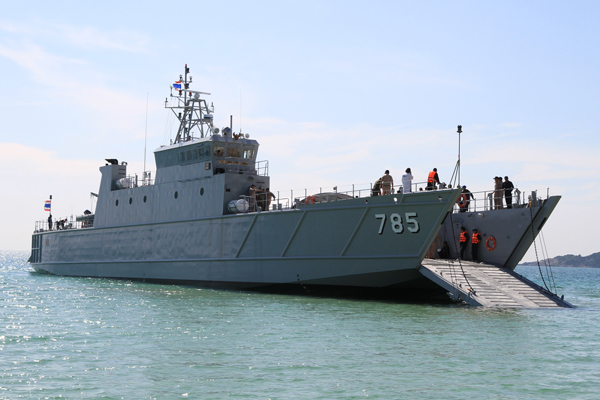 The 5th - HQ-186 Khanh Hoa is undergoing running tests in the Baltic Sea. 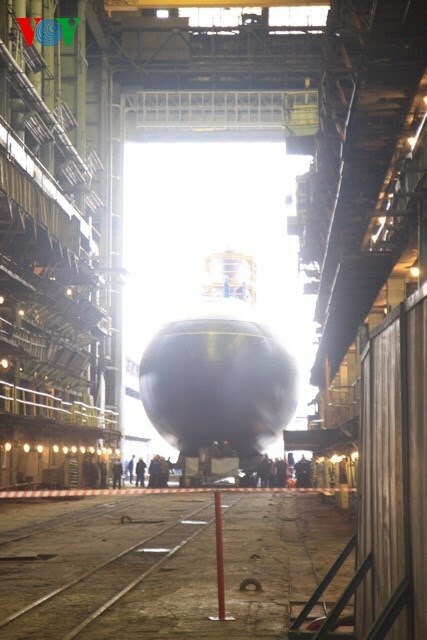 In 2009, Russia signed a contract manufacturing and supply six modern diesel-electric submarines Varshavyanka class for $ 2 billion to the Vietnam. 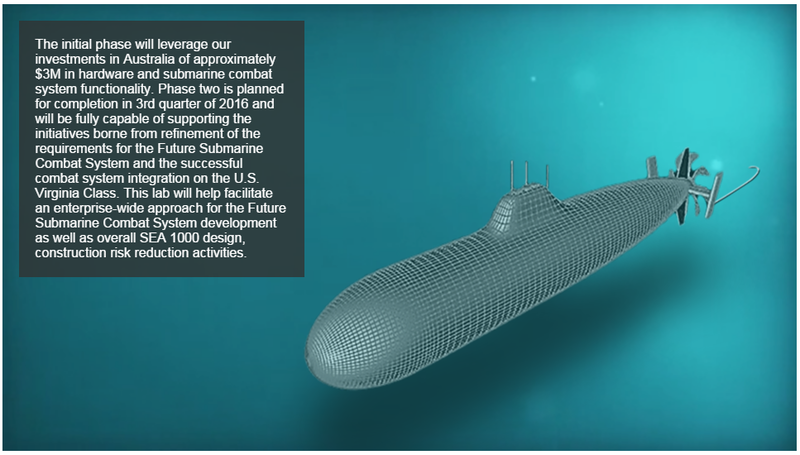 The contract includes training process for submarine crews as well as provide the necessary equipment. 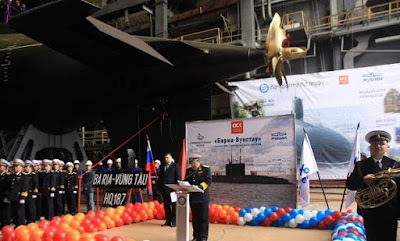 The Russsian made Submarine Project 636 Varshavyanka class of Vietnam has 3,100 tons displacement, maximum speed 20 knots / hour, can dive to 300m deep crew of 52 people. 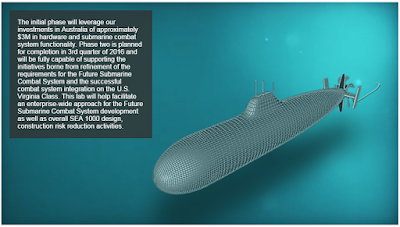 The submarine is equipped with six 533 mm torpedo tubes with Klub missile attack. 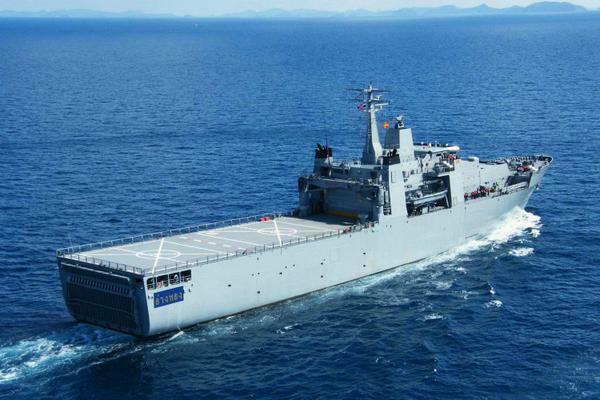 The ability of the ship running smoothly led NATO experts call it "black holes" in the ocean. 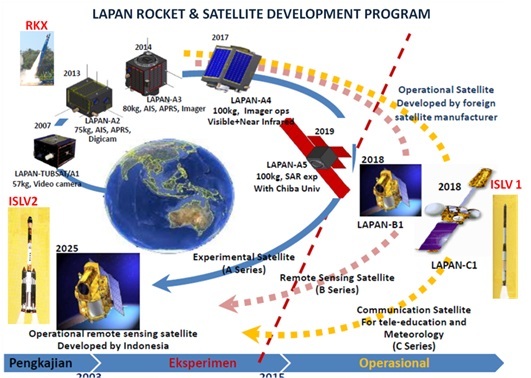 Jakarta (ANTARA News) - Satelit Lapan A2/Orari milik Indonesia yang diluncurkan menumpang roket peluncur (piggyback) India Polar Satellite Launch Vehicle (PSLV) C30 melalui Pusat Antariksa Satish Dhawan, Sriharikota, India, sukses mengorbit di ketinggian 650,16 kilometer. Kepala Lembaga Penerbangan dan Antariksa Nasional (Lapan) Thomas Djamaluddin di Jakarta, Senin, mengatakan bahwa satelit Lapan A2 sudah pada orbitnya setelah dilepas bersama astrosat berbobot 1,5 ton milik India dan enam satelit nano lain milik Kanada dan Amerika Serikat (AS). Menurut Thomas, satelit mikro Lapan A2 dengan berat 76 kilogram ini membawa video dan kamera digital untuk mengambil gambar bumi dari orbit ekuator dengan inklinasi enam derajat, ditambah muatan untuk sistem pelacakan kapal dan peralatan radio amatir. 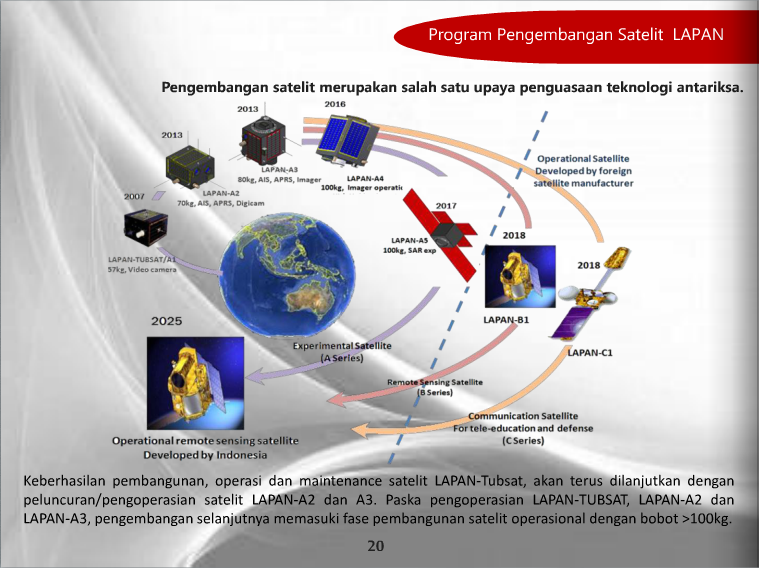 Satelit yang diluncurkan tersebut, kata dia, memiliki fungsi 80 persen eksperimen dan 20 persen operasional, dan akan melintasi wilayah Indonesia 14 kali setiap hari dengan periode orbit 100 menit. Tugas selanjutnya yang harus dilakukan, menurut dia, yakni menguji fungsi satelit Lapan A2 tersebut di Rancabungur, Bogor, dengan mengunduh data Power Control Unit Telemetry yang memberikan informasi konsumsi daya listrik dan temperatur tiap komponen satelit. Selain itu, perlu dicek data sensor matahari pada enam sisi satelit dan timer sejak satelit memisahkan diri dari astrosat. Lapan, kata dia, juga bekerja sama dengan Organisasi Amatir Radio Indonesia (Orari) untuk menguji komunikasi melalui satelit tersebut selama 1 bulan ke depan. 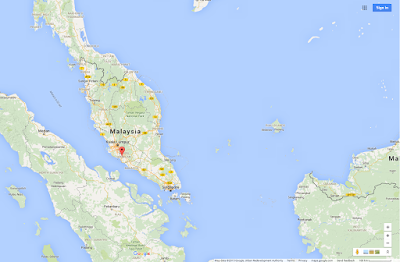 Satelit itu, lanjut dia, memiliki misi untuk penggunaan radio amatir saat bencana dan identifikasi pulau terluar di Indonesia. Alat ini diharapkan dapat membantu menjaga kedaulatan Indonesia dengan memantau lalu lintas kapal, operasi keamanan laut, perikanan, dan eksplorasi sumber daya kelautan Indonesia. Satelit Lapan A2/Orari yang menumpang roket peluncur India Polar Satellite Launch Vehicle (PSLV) C30 melalui Pusat Antariksa Satish Dhawan, Sriharikota, India, diluncurkan pukul 11.30 WIB. Menurut Kepala Lapan, roket pertama berbahan bakar padat dilepas setelah 1 menit 52 detik, roket kedua berbahan bakar cair dilepas seletah 4 menit 23 detik, roket ketiga berbahan bakar padat dilepas setelah 9 menit 48 detik, dan roket keempat berbahan bakar cair dimatikan setelah mencapai orbit dalam waktu 21 menit 56 detik. 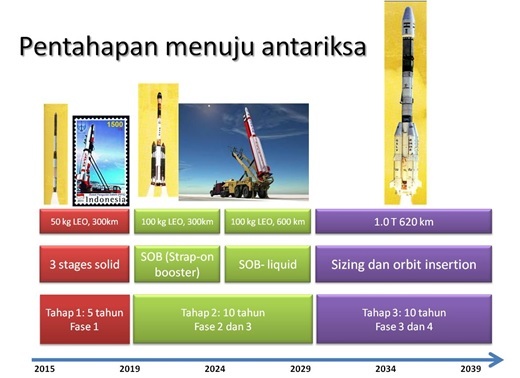 Setelah astrosat dilepas pada ketinggian 650,17 km atau setelah 21 menit 56 detik, menurut Thomas, Lapan A2 dilepas pada ketinggian 650,16 km atau setelah 22 menit 33 detik meluncur bersama roket. 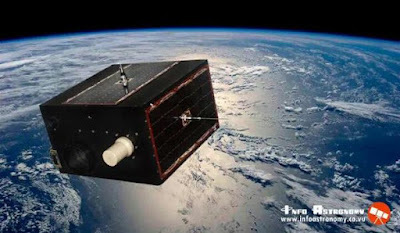 Satelit nano milik Kanada, yakni ExactView 9 dilepas pada ketinggian 650,14 kg atau setelah 23 menit 28 detik, dilanjutkan pelepasan empat satelit nano milik AS bernama Lemur 2, 3, 4, dan 5 pada ketinggian 650 km atau setelah 25 menit 33 detik (masing-masing dilepas berjarak 0,5 menit). 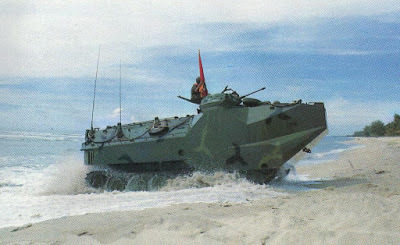 The Philippine Army’s Mechanized Infantry Division (MID) will have the capability to deal with intruding tanks with the pending arrival of the 14 M-133A2 armored personnel carriers (APCs) carrying 76mm turrets and anti-aircraft capability with the arrival of the four armored personnel carriers (APCs) fitted with the 25mm remote-control weapon system (RCWS). 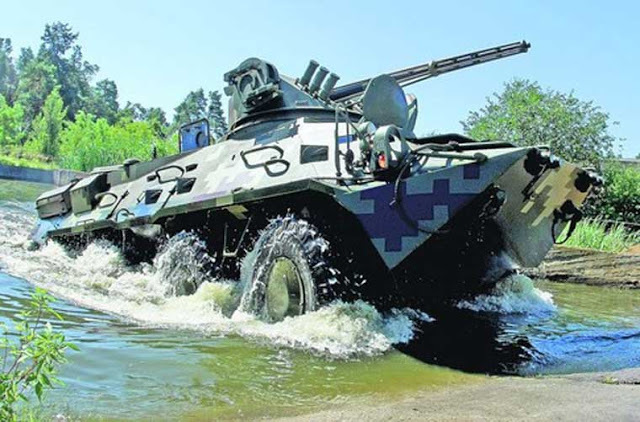 This was disclosed by MID public affairs office chief Major Filemon Tan at the sidelights of the firepower and maneuver demonstrations of the six APCs fitted with the brand-new .50 caliber remote-control weapon system (RCWS) at Camp O’Donnell in Capas, Tarlac on Monday. 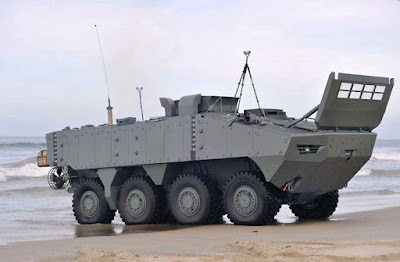 Fourteen of the 28 APCs from Israeli defense manufacturer Elbit Systems Ltd. will be configured as fire support vehicles, equipped with fire control systems, and armed with the 76mm guns which are sourced from the decommissioned Scorpion CVRTs of the Philippine Army. “With the 76mm guns fitted to these APCs, we can now have the capability to deal with (intruding) tanks,” he said in Filipino. The APCs will also be armed with munitions capable of penetrating tank armor and neutralizing enemy troops in the field, Tan added. Four will be armed with 25mm RCWS. Aside from having large rounds and explosive capabilities, the 25mm RCWS-equipped APCs also has the range to deal with helicopters and attack aircraft. Four of 28 will be configured as armored recovery vehicles. The 28-APC order deal with Elbit Systems Ltd., worth PhP 882 million, was signed on June 22, 2014. China has unveiled an updated version of the J-31 "Gyrfalcon" fighter jet, which is expected to be marketed internationally within the next five years, reports the Beijing-based Sina Military Network. 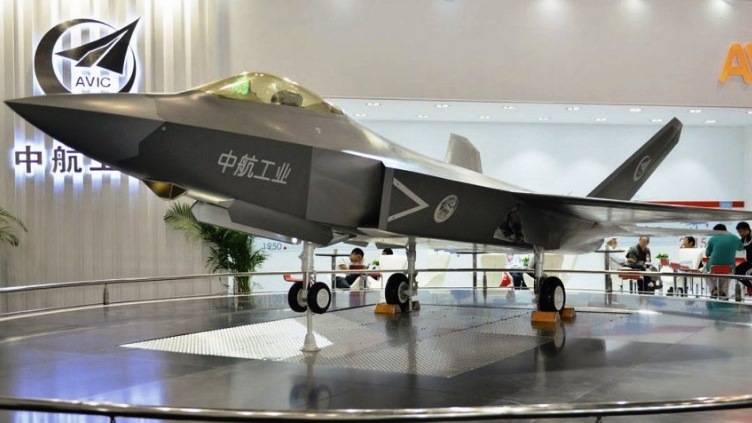 An updated model of the J-31 — a single-seat, twin-engine, fifth-generation stealth multirole fighter developed by the Shenyang Aircraft Corporation — was recently on display at the 16th China Aviation Expo in Beijing from Sept. 16-19. With a redesigned tail, the J-31's aerodynamic and stealth capabilities are said to have already surpassed most traditional fighter jets and will soon have an upgraded avionics system. Its current Russian-made RD-93 engine is also expected to be upgraded with a new version of the Chinese-made WS-13 engine in the future. AKHTUBINSK (Astrakhan Region)(Sputnik) — The T-50 is currently undergoing flight tests that have so far been successful, Bondarev said. 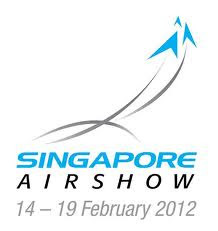 Previous reports stated that the aircraft would enter into service in 2016. The T-50 prototype aircraft is designed by the Russian Sukhoi aircraft manufacturer for the PAK FA, a fifth-generation fighter program of the Russian Air Force. 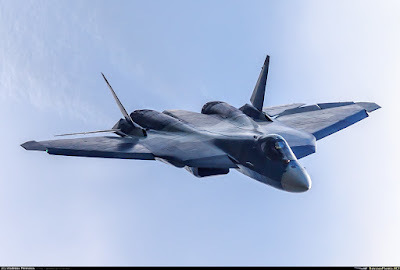 The fighter jet is expected to become the first operational stealth aircraft for the Russian Air Force and will incorporate advanced avionics and all-digital flight systems. KUALA LUMPUR: The Royal Malaysian Navy (TLDM) will require additional assets, especially ships, in order to step up security in local waters. 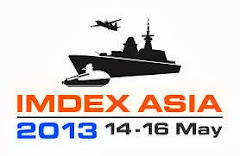 At the moment, six more multi-role naval vessels are needed, said Navy Chief Admiral Tan Sri Abdul Aziz Jaafar. Speaking at a press conference during the Navy Media Day on Tuesday, he said the Navy needs to have 50 ships, but currently only has 44. Abdul Aziz explained that apart from the assets mentioned, other naval systems are at a very satisfactory level. 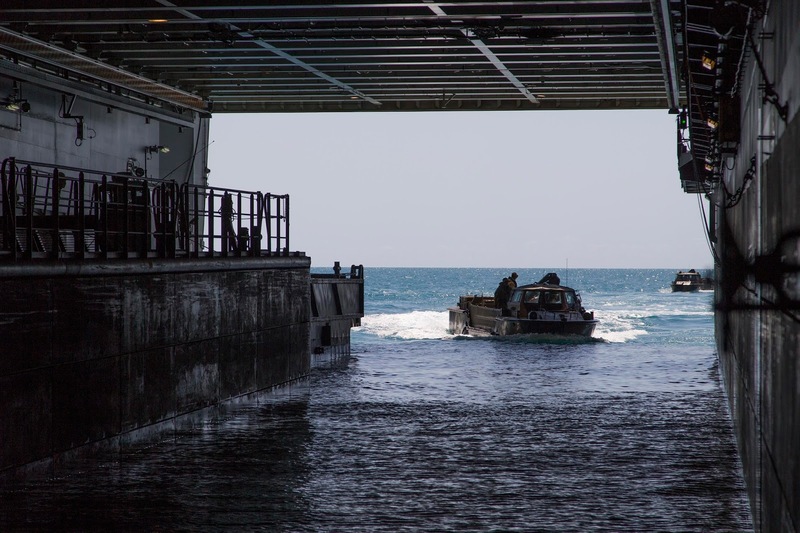 "What is lacking are only platforms to conduct patrols and surveillance," he said. 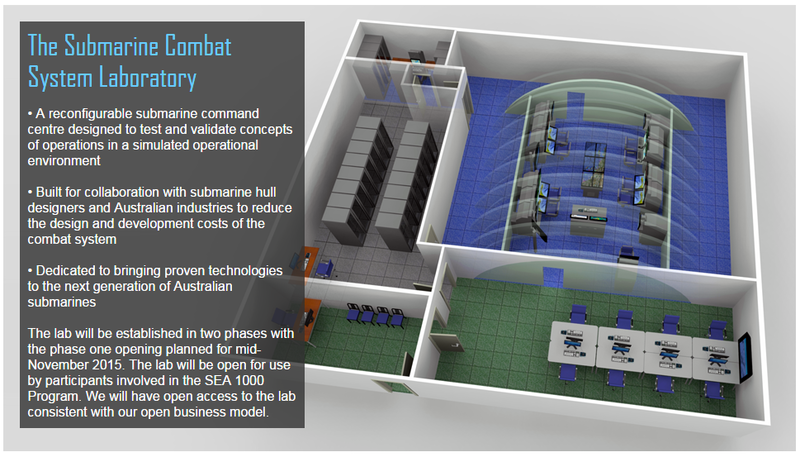 Canberra – Lockheed Martin Australia will open a submarine combat system laboratory in Mawson Lakes in November to support the company’s pursuit of the Royal Australian Navy's Future Submarine project SEA 1000 Phase 1. Construction began at Mawson Lakes on July 27, 2015 and is expected to open in November. 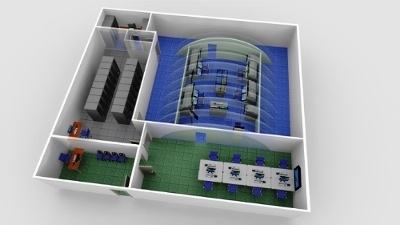 An expanded Phase 2 with a secure area is scheduled to open in the third quarter of 2016. 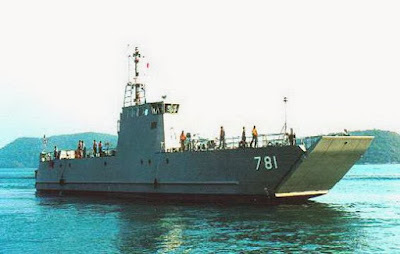 MAKASSAR – Kapal Perang Republik Indonesia (KRI) Dewaruci saat ini sudah berusia 62 tahun. 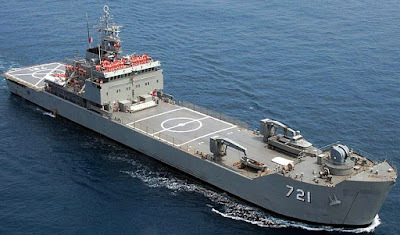 KRI yang berbasis di Surabaya ini merupakan kapal layar terbesar yang dimiliki TNI Angkatan Laut. Nama kapal ini diambil dari nama dewa dalam kisah pewayangan Jawa yaitu Dewa Ruci. Dewaruci dibuat pada tahun 1952 oleh H. C. Stülcken & Sohn Hamburg, Jerman Barat. 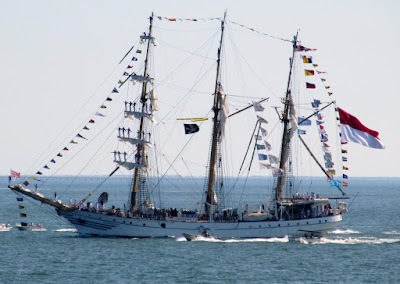 Kapal berukuran 58,5 meter dan lebar 9,5 meter dari kelas Barquentine ini merupakan satu-satunya kapal layar tiang tinggi produk galangan kapal itu pada 1952 yang masih laik layar dari tiga yang pernah diproduksi. 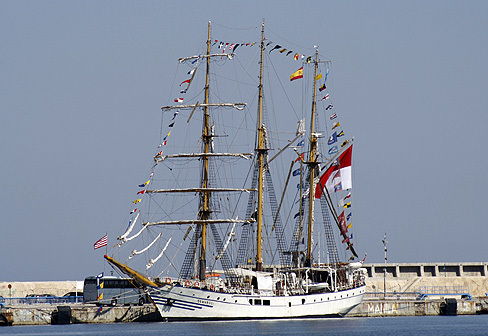 Dari sumber Wikipedia menyebutkan, bahwa pembuatan kapal ini dimulai pada tahun 1932, namun terhenti karena saat Perang Dunia II, galangan kapal pembuatnya rusak parah. Kapal tersebut akhirnya selesai dibuat pada tahun 1952 dan diresmikan pada tanggal 24 Januari 1953. Selanjutnya, pada bulan Juli 1953, dilayarkan ke Indonesia oleh taruna AL dan kadet ALRI (Angkatan Laut Republik Indonesia, red). Setelah itu, KRI Dewaruci yang berpangkalan di Surabaya, ditugaskan sebagai kapal latih bagi Taruna/Kadet Akademi Angkatan Laut (AAL). Kapal ini melayari kepulauan Indonesia dan juga ke luar negeri. 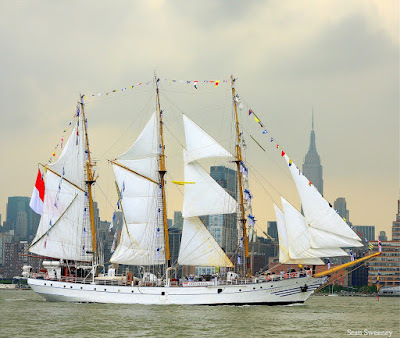 Bahkan kapal ini juga pernah mengelilingi dunia sebanyak dua kali. Meski KRI dengan berat 847 ton ini sudah berstatus purna tugas, namun tetap beroperasi hingga saat ini. 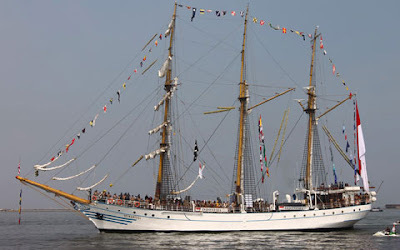 Bahkan, KRI ini ikut parade kapal perang pada acara puncak Sail Tomoni 2015 di Pantai Kayubura, Kabupaten Parigi Moutong, Provinsi Sulwesi Tengah, Sabtu (19/9), akhir pekan lalu. Kehadiran KRI Dewaruci diantara puluhan kapal perang yang berparade pada puncak Sail Tomoni tetap menarik perhatian warga. Jumat (25/9) kemarin, KRI Dewaruci sandar di Dermaga Layang, Pangkalan Utama Angkatan Laut (Lantamal) VI di Makassar, Provinsi Sulwesi Selatan (Sulsel). Kehadirannya juga menjadi perhatian masyarakat Makassar. Saat di Makassar, Komandan Pangkalan Utama TNI AL VI Laksamana Pertama TNI Edi Suryanto, S.E didampingi oleh Wakil Komandan Lantamal VI, para Asisten Danlantamal VI, serta Ketua dan Pengurus Jalasenastri Korcab 6 Daerah Jalasenastri Armada Timur melaksanakan kunjungan ke kapal layar tersebut, yang disambut oleh Komandan KRI Dewaruci, Letkol Laut (P) Widiyatmoko Baruno Aji. Di atas kapal, Letkol Laut (P) Widiyatmoko Baruno Aji memaparkan tentang sejarah singkat KRI Dewaruci yang saat ini sudah memasuki umur 62 tahun. Meskipun sudah tidak muda lagi, kapal yang bertipe Barquentyn ini masih terlihat gagah serta mampu berlayar untuk melatih para taruna calon pemimpin TNI Angkatan Laut dalam mengarungi samudra. Menurut Kepala Dinas Penerangan Koarmatim, Letnan Kolonel Laut (KH) Maman Sulaeman, Komandan Lantamal VI/Makassar beserta rombongan berkesempatan berkeliling dan melihat-lihat dari dekat KRI Dewaruci. Kegiatan diakhiri dengan saling bertukar cinderamata dan foto bersama di atas KRI Dewaruci. Aselsan made its first arms system export to Southeast Asia. 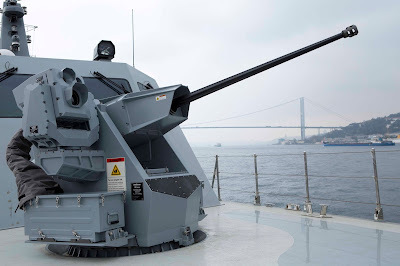 According to the company statement, under an agreement signed with a company resident in Malaysia, 30 mm MUHAFIZ/SMASH Remote Controlled Stabilized Naval Gun System will be integrated into the 44-meter boat belonging to the Malaysian Armed Forces. 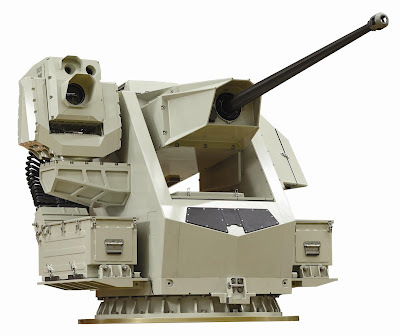 Currently, the Turkish Naval Forces Command, Coast Guard Command, Land Forces and Police Headquarters is located ASELSAN Remote Controlled Weapon Systems in its inventory, it was preferred by Turkey as well as 10 country’s Armed Forces. These agreements, its importance in terms of being the first weapon system exports to Southeast Asia which carried by ASELSAN. 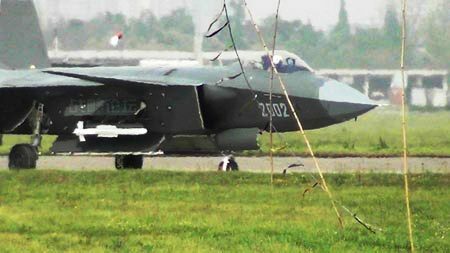 China had completed the 30th test of its fifth-generation short-range air-to-air missile, the PL-10, developed for various advanced fighters of the People's Liberation Army according to Jane's Defence Weekly on Sept. 20. Designed by Luoyang Electro-Optical Research Institute, the missile was seen being carried by a J-20 stealth fighter for the first time in a photograph posted to a Chinese website back in 2013. This indicates that China's first domestic fifth-generation stealth fighter is capable of firing the missile in future aerial warfare. Later on, the missile was seen on the wingtip of a J-11 fourth-generation fighter as the report said. Liang Xiaogeng, the deputy chief designer of the PL-10 said in a Chinese television interview that this new missile is fitted with a multi-element imaging infrared seeker with anti-jamming capabilities. With super maneuverability, the PL-10 is capable of launching high off-boresight attacks. The television interview for the first time ever gave the details of the PL-10 missile since the beginning of its development seven years ago. The PL-10 has an attack range of 20 kilometers. It has a weight of 89 kilograms and a length of 3 meters. 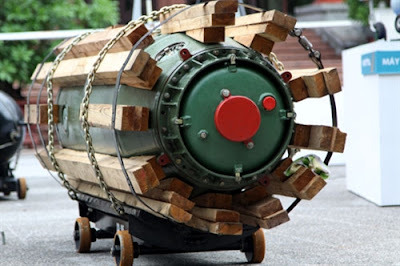 The prototype of PL-10 was completed in 2013. Since then, it has been test-fired 30 times by various fighters of the PLA Air Force and navy. Photos taken in 2013 indicate that the PL-10 uses thrust vectoring vanes in its motor exhaust. A new helmet-mounted display may be used by this new weapon system as well. 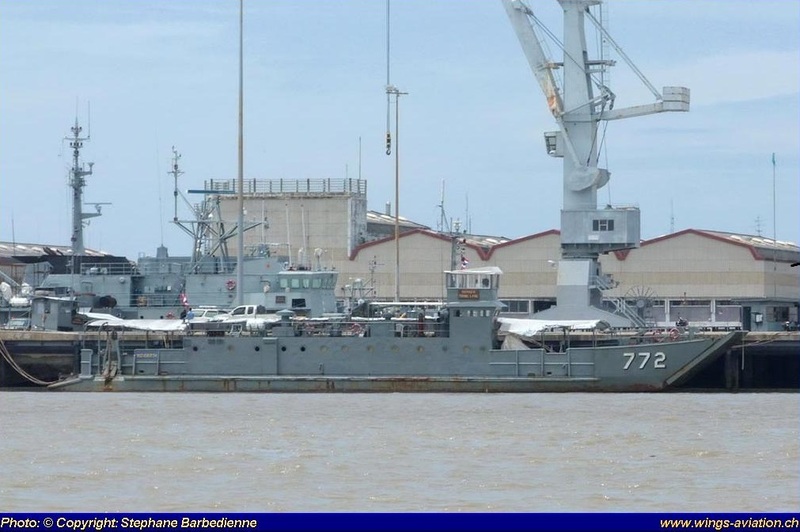 Vietnamese Navy will Buy Steregushchy Frigates ?